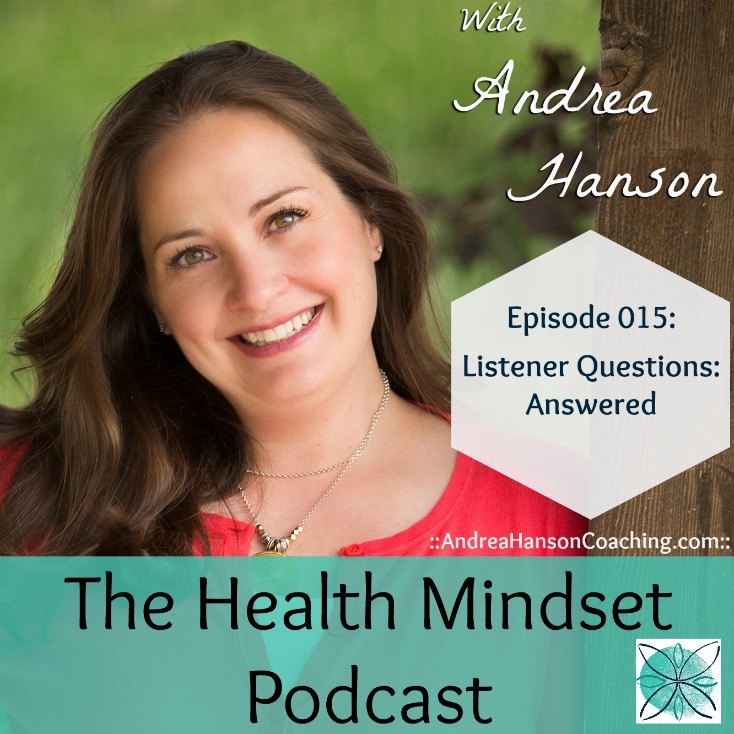 Andrea answers listener questions in this information-packed episode of the Health Mindset Podcast. We’re covering everything from how to explain to someone that you’re sick – when you look just fine to how to have fun with creating a health totem. Scroll down to learn how to win a 15-minute mini coaching session with me! We’re also talking about how to have healthy boundaries with your health, and easy tips to using the Law of Attraction for your health. There’s also a bonus on turning Mountain Dew into vitamins (straight from a listener’s question). -Why it feels hard to explain your illness when you look fine. -Exactly how to use the fun Health Totem exercise – and get results for life. -Why we can manifest “little” things in our life, but manifesting health and weight loss seems out of reach. Send in your questions and I’ll pick a person at random to receive a complimentary 15-minute mini coaching session with me. You’ll get crystal clear on the answer and receive customized planning. I’m picking emails for the next two weeks (before episode 017 is published). This is a value of over $60.00- for free! There’s no middleman – your email will come to me directly.